We’ve positively impacted the Wealth Wellness of over 145,000 people in the last 40 years... from over 85 countries. Money & You® was a turning point in their careers! Join Us For Our Next Money & You In Southern California September 19 – 22, 2019! This Free Money & You introductory series is designed to help you create the essential entrepreneurial foundation for mega-success… in the shortest time-frame possible! Session 1: Be The CEO Of Your Life. Graduate Maria Simone is a dynamic speaker, trainer, author, coach and champion of inventors and entrepreneurs. As the “Passion To Prosperity Diva”, she has helped thousands of people over the years access the resources they need to create their own success in a conscious business as well as a multiple income lifestyle. Surround yourself with incredible people. Create a routine that fosters creativity, accomplishments, & manageable tasks. Give yourself permission to do the tasks that you love and delegate what you don’t. Acquire the resources you need. Session 2: Understanding and Using Leverage. Dominique Lyone is a Graduate/Leading Instructor of the Excellerated Business School for Entrepreneurs, whose company went from $6 million in revenues from late ’80’s to $100 million a year in business today. Leverage your passion into a money-making machine. How to build motivated teams of people that make things happen faster than ever before. Get your business to work without you. Attract and retain the very best team in a competitive market. How to make small 10-15 degree shifts in your approach to a challenge to see massive change. Session 3: Creating Empowering Wealth. 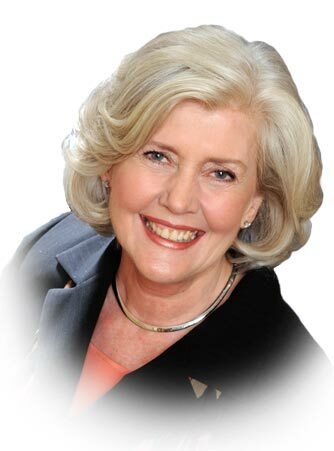 Graduate Lee Brower is very successful entrepreneur, business consultant to the wealthy and teaches families how to set up legacies so that their wealth will continue and expand through future generations. Lee will walk you through the steps to clearing your blocks to money. Lee will show you not only how to have the mindset to having money, he’ll also show you how to keep and grow your money. You’ll learn the dynamics and systems that successful people use to manage and handle money. Session 4: Bringing It All Together. Dame Doria (DC) Cordova will bring the three lessons together to create a new foundation that will help you increase your success. You’ll be empowered to make the changes in your life, your business, and your goals, to start on a new road to achievement. DC will also share the formula, that for the past 40 years has worked for the mega-successful entrepreneurs around the world. We’ve helped thousands of industry leaders, influential experts, and extraordinary people from all over the world create the wealth and the life they deserve. Attend a Money&You® and you’ll experience a transformational change in your “relationship” with money. Grads are always welcome for Free at any Money & You® Program around the world! Imagine being permanently re-wired to think like a multi-millionaire! Money & You changed my life. The program is more about discovering ourselves than it is about money, yet in the process I learned more about money than I ever dreamed possible. I encourage anyone to take this program, for it will not only show you how to do a minor vector in your life – it will re-vector your entire life and you will be grateful for it. Jack CanfieldCo-author of the best-selling series of “Chicken Soup for the Soul” and author of "The Success Principles". You will come away with a whole new set of paradigms and tools that will take you to the next level. It WILL change your life. Before M&Y, life was about making as much as I could and taking advantage of anyone because where I came from, money was the measure of success. I learned how to serve other people and by so doing, true wealth was possible. I was broke 4 years ago and after attending Money & You®, I turned my business into a great success by applying the valuable principles found in all that the program covered. I would like to attribute my Spirit of Enterprise Award 2004 to Money & You and Excellerated Programs! Without Money & You, I would not have had the courage to open offices and retail outlets in Australia, Malaysia, Thailand, Hong Kong, and Japan. In business, it is not tasks, money, or products that make the biggest difference. It’s the people, and relationships. In Money & You, I learned a framework, and a technology that I apply and am constantly using every day. Money & You completely changed my life. It looked like it was a seminar from a financial perspective – about how to achieve financial success. But what it really did was teach me, not only about business principles, but the principles of life that would make me successful in my interactions with other people. 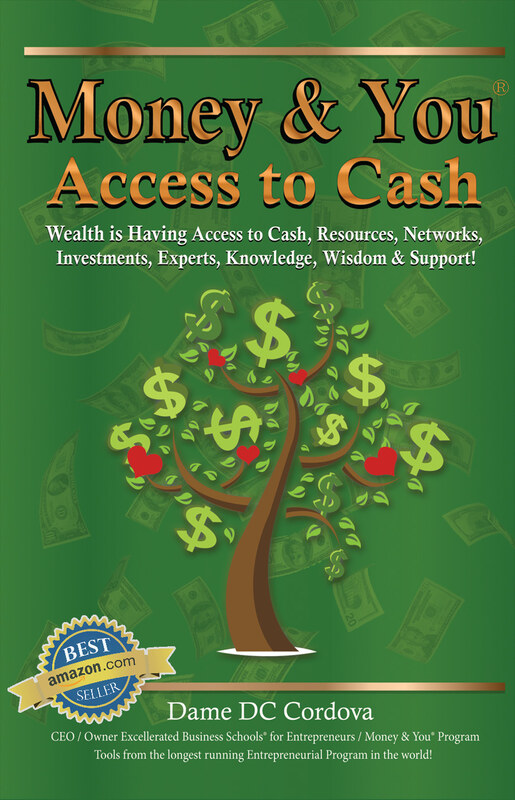 In Money & You™ – Access to Cash, you have the opportunity to discover the lessons that have been applied, tried and proven to work for over 40 years by some of the world’s best entrepreneurs and fastest growing companies. Big change starts with you and your performance. While a book very rarely offers the sort of impact that one-on-one personal coaching can make, we have written this book with the questions that you need to ask to get clarity on what really matters to you in creating your financial success. Our hope is that you will discover – by the improvement of the quality of your life – how very rare a book like this is. Want to stay in touch with our graduate events? Sign up for our graduate newsletter now! Register & Get Started Now!